Invoice requirements control allows accountants to check invoice package compliance before sending to the client. This customized checklist can track unlimited number of invoice fields. It’s optional feature. Administrator can find it at RigER Global Settings. 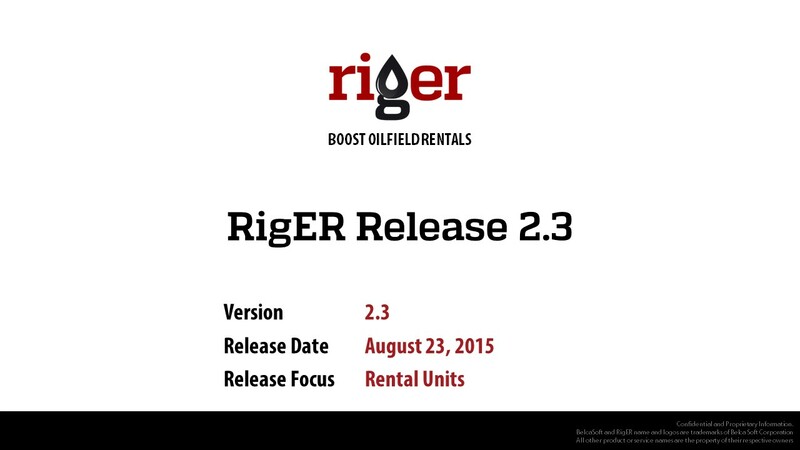 RigER Version 2.3 is our next step to boost oilfield rentals. RigER is a leading Oilfield Rental Software and we keep improve our product. Most of improvements and new features were suggested by our clients. We would like to continiue the conversation about new features, prodcut customization and oilfield rentals.